Tyler from Total Dojo wanted his bedroom painted up with his name and a terminator style robot. So Kade and Oren got to work. 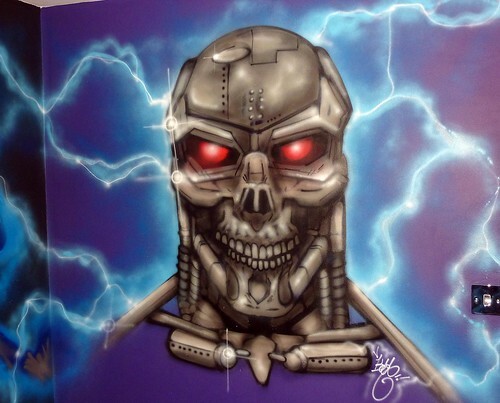 This entry was posted in Artwork, Commissions and tagged bedroom graffiti, Terminator bedroom graffiti, terminator graffiti, tylers bedroom. Bookmark the permalink.